How to style and groom the facial hair and mustache to keep it in pristine; mint condition? 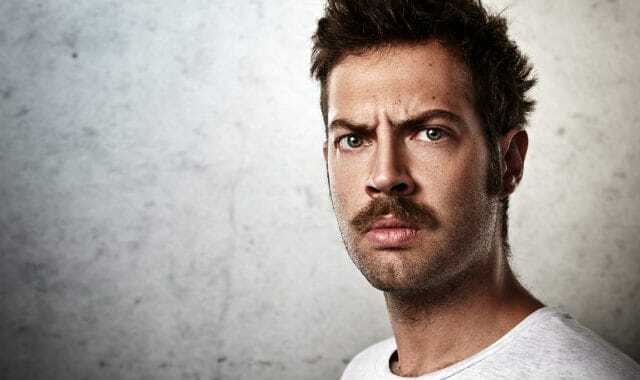 Well good news, our ultimate guide to whisker grooming has got you covered in eight critical steps all the way from trimming the beard into the tiniest detail of waxing the mustache. So go ahead, grab a cup of coffee and enjoy this extremely detailed ultimate guide to beard grooming. Trimming the beard is a task much harder than what it looks. It requires a steady hand and some experience in the craft to trim facial hair just right, which causes many men to run straight down to a professional. Using the proper tools; namely a quality trimmer and some beard & mustache scissors will be of great help. 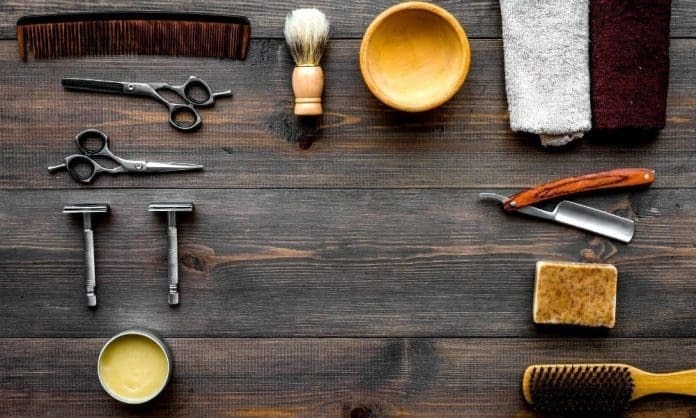 The first cut is always the hardest, but over time, you should be beginning to master the art of the trim and save yourself thousands of dollars by not having to get it done at a barbershop. In our larger review of beard trimmers and clippers, we chose Wahl Li-ion Plus as the best one. It’s got nice little sleek design, sharp and even blade structure, powerful motor, and the thing comes with three additional head attachments for precision detailing and nose/ear hair trimming. Due to its small size and dual voltage (110v/220v), this trimmer is also perfect for traveling. A trimmer alone won’t get the job done. For some areas, especially the mustache, you will need to use scissors. We recommend these (goes to our review of best beard products) a lot on this website. I mean there are hundreds to choose from really, we just like those to do the job. This Youtube video from Dan Beck is some of the best visual examples out there on how to trim your beard and mustache at home; watch it and subscribe to his channel. » Trim your beard when its dry, begin with clippers from the top and try to maintain an even cut until you reach the nose/lower cheek area. Be patient and always opt for a larger size guard than you think is needed to prevent any accidents. » Use the clippers (and preferably the detailer head) to create the rough shape of the neckline and edges. 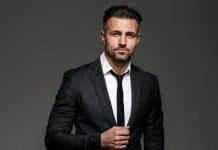 If you have some stray hairs popping up in the upper cheeks, moving towards the eyes, use a shaver or the detailer head of the trimmer to cut them down. » For the remaining facial hair whiskers around your cheek & mustache area; use the scissors. With your hands, pull parts of the mustache to the side and even out the stray hairs bit by bit. » Last, move to the mustache. 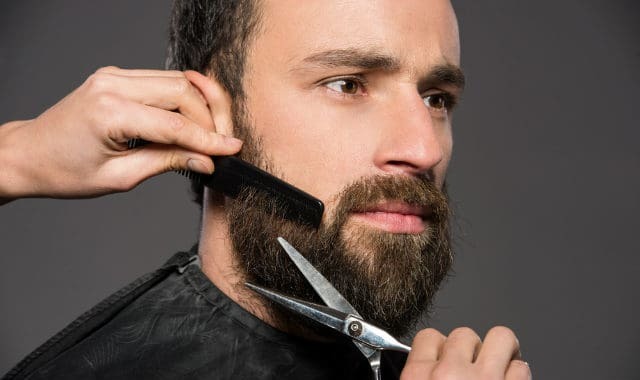 Start by snipping a little V to the top lip to create the “curtain effect”, then with the help of a small comb (or freestyle) snip off the hairs that are out of place or droop too far down to your mouth. 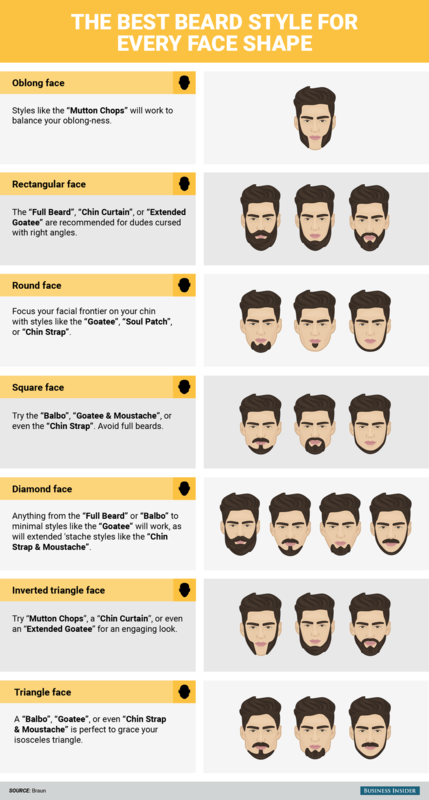 Although thick full-beard suits most head shapes perfectly, there are still some guidelines you can follow to style your beard more accordingly to your face shape. Most men have never even given it a second of thought, but there are actually many different categories of head shapes. Mostly, these are used by barbershops and salons workers to determine what style of hair or beard suits their customer the best. The men with oval-shaped faces for example; can get away with almost any beard style, as their proportions are relatively even. 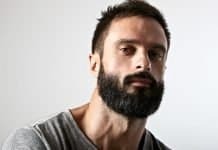 However, men with round faces, wide cheeks, and short chins, often benefit from beard styles that place extra “oomph” and emphasis on the chin area to make it appear larger & longer. Hair is hair, right? Just use regular shampoo on the beard? 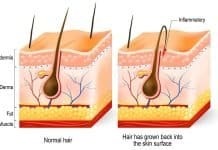 Your scalp-hair is non-hormonal vellus hair (you can have a vellus beard too), which in most cases grows well even if you wash it daily with chemical-laden soaps and whatnot. Your facial hair is hormonal androgenic-hair. 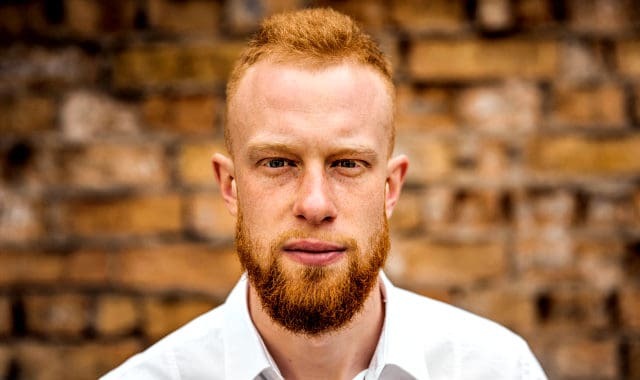 Therefore, the growth of facial hair is mediated by hormones, and it’s vital that you do not strip the nourishing natural oils from it daily with a shampoo designed for scalp-hair. Do not wash your beard daily. 1-3 times per week is plenty enough. Also, do not use scalp-hair shampoo, it strips away the natural oils completely and dries the mane. Look for gentle and natural beard wash and beard conditioner that preserve the natural oil balance and don’t disrupt the androgenic hormones required for growth & thickness. 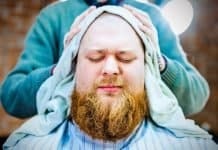 After testing a myriad of beard washing products; I’ve come to find only a handful of brands that produce good-quality beard washes. What we are looking for here are beard shampoos & conditioners that don’t use hormone suppressive man-made chemicals. You know, the kind that doesn’t strip off all the natural oils and leave your beard drying up. That means no parabens, no phthalates, no sulfates, and no polyunsaturated fatty acids which are prone to lipid peroxidation on your face (fancy way of saying how they go rancid on your beard due to oxygen, light, and heat). One brand that fits our bill, is the Scotch Porter. They use no chemicals and no hormone suppressing oils. Plus they have a sleek design and large bottles and containers that last a long time. This is kind of self-explanatory; everyone knows how to wash their beards. The important thing is that you’re using the right products, and not doing it every day. Have the above video from Mr. Natty himself teach you anyway. Every bearded man should be using the help they can get from a larger beard comb and a tiny mustache comb. 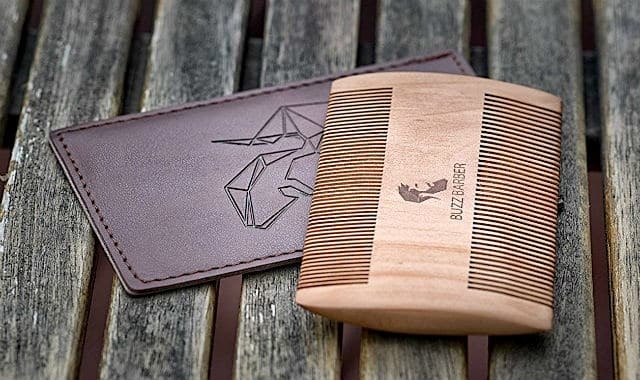 A quality beard comb prevents breakage and snagging, and the reason to use it is simple. You want your thick and coarse beard to flow nicely, instead of turning into a tangly mess. Beard and mustache combs are also excellent tools to aid with your trimming routine. What kind of Beard and Mustache Comb to Get? Beard Resource uses and most often recommends the extremely popular Kent 3-piece beard & mustache comb set. A big comb for thicker & bushier beards. A medium comb for thinner Beards. And a tiny mustache comb, for your ‘Stache. Every Kent comb undergoes the traditional craft of shaping and cutting from a solid blank of tortoiseshell effect material. The truth is that the majority of the wooden combs on the market are also pretty great for use on beard and mustache, the only types of combs to avoid would be the cheap plastic ones, and the metallic kind. Beard Tube sums the topic perfectly; subscribe to him ASAP. When you’re just jumping out of bed or right after a shower, it’s not a bad idea to brush your beard. not with any brush though, get yourself a quality beard brush with 100% boar bristles, none of that plastic junk or synthetic fibers. So what are the benefits you ask? Regular brushing helps to stimulate and distribute the natural oils and sebum produced by your facial hair follicles and sebaceous glands. Beard Brush is a great tool for removing dead skin cells and debris from the beard, while also taming the thick and coarse facial hair. Lastly, brushing the beard promotes circulation in the facial hair area, this is crucial for growth and thickness, as it helps deliver hormones and nutrients to the follicle. 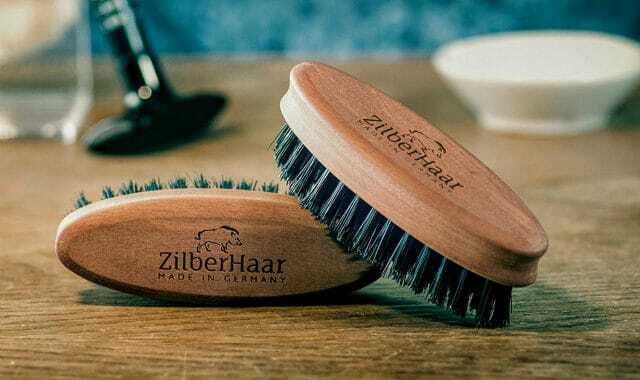 Like with most beard products, there are hundreds of brands of beard brushes to choose from. If you type “beard oil“ to Amazon, you will be presented with nearly 1000 different products. To put it harshly, I wouldn’t let 950 of those anywhere near my beard. Yup, that’s how bad the beard oil market has gotten to. 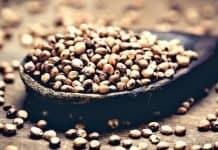 People who have no idea about the structure of the oils, formulating whatever they can into tiny bottles, and quickly pushing those out to the market for hungry hipsters. All that seems to matter is a sleek logo and nice looking bottle. The reason men with bushy beards use oil in the first place is to replace some of the natural oils lost after a shower; that and a nice scent too, some slight hold and shine as well. Not to find the coolest looking bottle (hopefully). 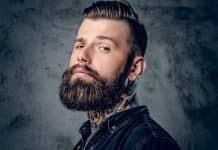 What Beard Oil to Choose? Where most of the beard oil brands fail, is in the ingredients. 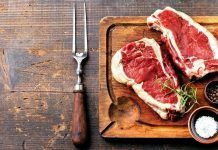 They use too many polyunsaturated fatty acids in their products, which are prone to lipid peroxidation, aka. turning rancid on the skin when exposed to light, heat, and oxygen. 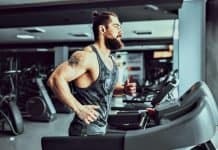 Not only this, but PUFA is known to suppress androgenic hormones; testosterone and DHT, which happen to be the hormones that produce androgenic-hair, the very exact stuff your facial hair whiskers are. 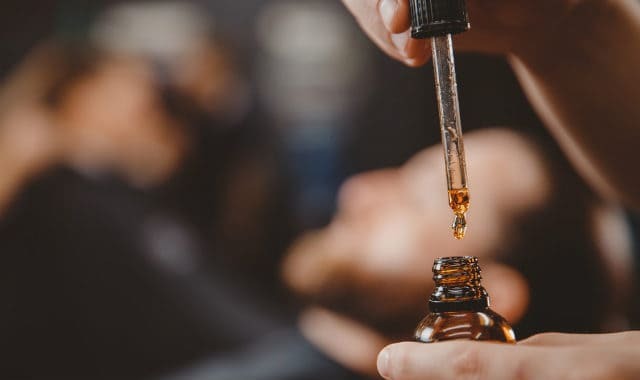 Instead of the easily rancidifying vegetable & seed oils, beard oils should be manufactured with stable saturated and monounsaturated fats like coconut oil, argan oil, castor oil, olive oil, jojoba oil, and shea butter. Those oils aren’t prone to lipid peroxidation and instead of suppressing your beard growing hormones, they actually enhance their production. 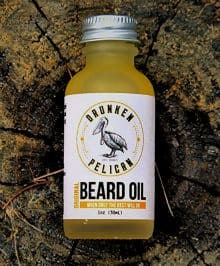 Which brings us to the best beard oil on the market; The Drunken Pelican. Their ingredients are all natural and organic coconut oil, olive oil, argan oil, jojoba oil, magnesium, beeswax, and a tiny bit of essential oils for scent. So what is there not to like? The ingredients are spot on, the scent is amazing, even the bottle looks nice. Beard balms came into existence sometime after the beard oils started popping into the market. Some say they’re useless if you use the oil, and in certain cases, I have to agree. 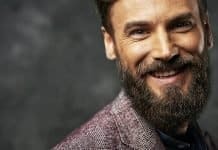 If you are prone to having sensitive skin and your beard dries easily, then in addition to using beard oil, you should probably look into owning a solid beard balm as well. These balms are like a hybrid between a runny oil and a thick block of wax. 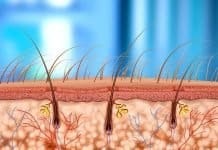 They are mostly meant to be used as a moisturizing leave-in conditioner, and that’s where most of their benefits are. Sadly, there are lots of bad products filled with rancidifying vegetable oils and chemicals out there. And one of the bad things that you don’t see in oils, but can find in an awful amount of balms, is the use of petroleum (vaseline). 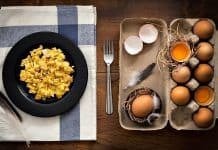 So steering clear of products like that is crucial, and instead look for something that has a good organic beeswax base, with no harmful chemicals, and a short list of stable saturated and monounsaturated fats. One good example is the Viking Revolution Sandalwood Beard Balm, it’s extremely cheap considering the 100% organic ingredients (argan oil, beeswax, and mango butter) and the fact that they use no man-made chemicals in their product. Last but not least, focus on the whisker action on your beloved upper lip. Mustache; it’s like a crown to a beautiful beard. The style of your mustache can either make or break the big picture of facial hair. And if your moustache is mighty enough, it might just work on its own, without even needing the support from a beard. Much like Tom Selleck’s ‘Stache in Magnum PI or the mustache of Sir Kenneth Branagh in the Orient Express. Occasional trimming and combing keep the ‘Stache flowing smoothly. The use of beard oil provides some much-needed moisture and oil. And then the last point of attack; a solid hold from a quality mustache wax. So finishes our ultimate guide to beard grooming and styling. I hope you picked up a tip or two from the exhaustive list of facial hair styling advice. Let me know in the comments if there’s something I forgot from the list.